Intentional or unintentional, you are the one who creates his own Karma; be it for the good, be it for the bad but be ready to face the consequences! 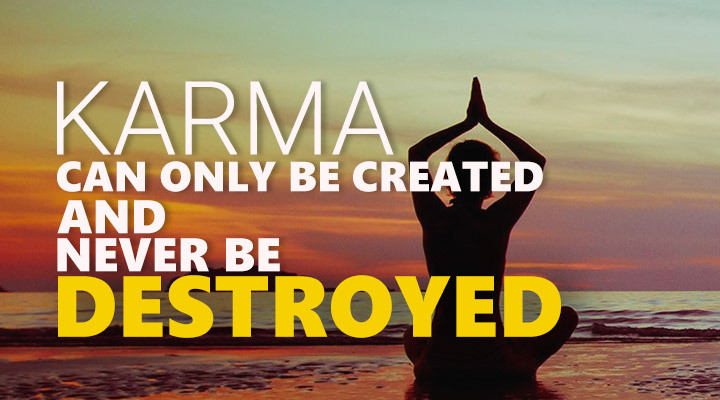 When your Karma is bad, no one can save you from the wrath but when your Karma is good, no one in the world can destroy or take it away! Remember, it is you and only you who deserves to enjoy the sweetness of the fruit and again it is you and only you that deserves the BIG BLOW on the back of your neck! Karma is like a Time Machine; Time Machine that can make you re-visit your past and make you pay; pay for your deeds; deeds that effected the people positively or negatively around you!